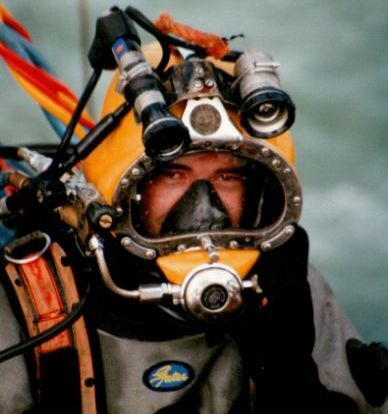 Todd Caldwell has been working as a commercial diver since 1997. After 10 years of diving, decompression and an almost fatal accident, he refined the idea of a diving watch that would be better suited to his professional needs than the expensive alternatives on the market. Todd eventually realized that having a small series of watches manufactured would be easier than having a one-off piece only. Driven by the need to carefully plan an operation, he subsequently established a company to launch his project. After 3 years in the making, the first Ægir collections (named after the Norse god of the seas and king of the creatures) are about to be released. Pricing is still to be determined, but Mr. Caldwell kindly provided us with rendering of the two models. All watches are rated water resistant to 701 meter, which is the record depth of chamber diving held by Theo Mavrostomos. Needless to say that these watches will withstand any pressure found in “softcore” diving. The collections consist of the CD-1, a model with plain metal bezel; and the CD-2, a model with unidirectional diving bezel with markers filled with Super-Luminova. Both models will be available either in 316L Stainless Steel, which barely rusts and titanium, which is impervious to seawater acidity.